Applying kajal can be a tricky task. That’s why Zuri brings to you a few important techniques for best kajal application. Check them out right away! Everyone is unique and we all flaunt our own set of features that make us who we are. There are some who are endowed with gorgeously structured cheekbones while others have large wide eyes, some may boast of stunningly shiny hair and so on. We all have a certain aspect of ourselves that we love. But sometimes there are also other features that we wish we could enhance just a little bit more. One of the common complaints girls have is that their eyes are small and do not catch a lot of attention. So we came up with some easy kajal application techniques to help you amplify the beauty and appearance of your eyes even if you feel that they are small. 1. Selecting a kajal: Start off by selecting a good kajal that you are comfortable with. New users may feel that felt tip or pencil liners are easier to apply whereas eye makeup veteran will feel that liquid liner offers most efficient control. 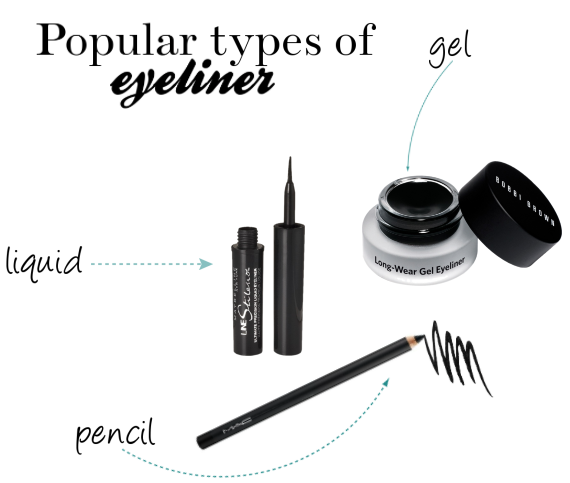 You can choose from liquid liners, pencil, gel, or even felt tip liners and kajals to get the best effect out of it. 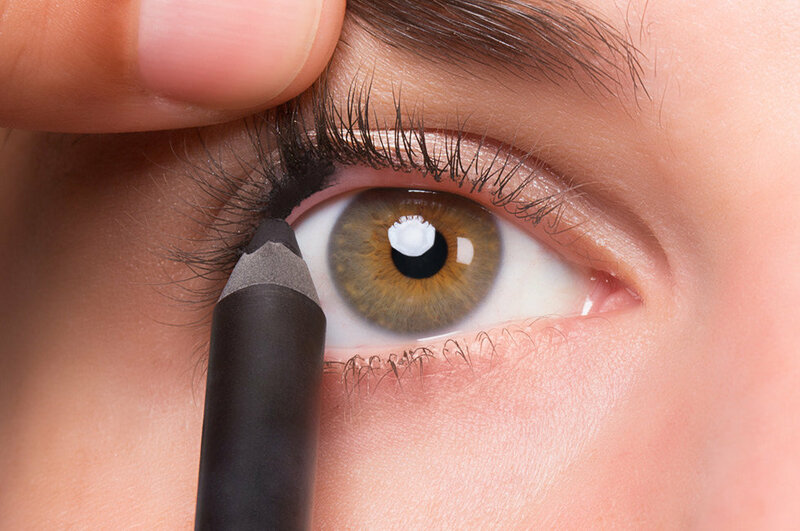 Use kajal with thinner tips or brushes as these give narrower lines which are essential for small eyes. Drawing thick lines of kajal will only make your eyes appear smaller and darker. 2. 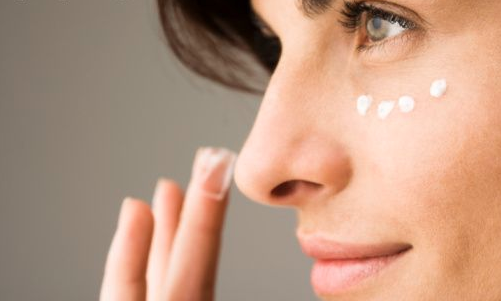 Prep your eyes: Before you start the application, thoroughly cleanse the eye area using a moisturizing cleanser. Next apply a small amount of primer on the lid as well as around the eyes to ensure that the makeup stays intact. Dab a few drops of concealer to reduce the appearance of dark circles or any blemishes that may be visible. 3. 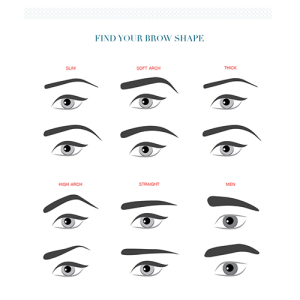 Groom your eyebrows: Well-shaped eyebrows are essential to enhance the appearance of the eyes. Having unkempt eyebrows will further make the eyes look smaller and give an overall messy appearance. Properly groomed eyebrows that are shaped to suit the face brighten up the eyes and give them a wider appearance. 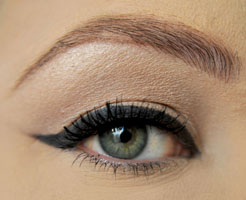 Start with a basic stroke along the upper lash line. Keep the stroke very thin at the inner corners and thicken it as you go outward. When you reach the outer corner, give it a short and upward flick. Do not extend it further like a winged style but give it a stroke moving upwards instead. Just darken the lines as drawn and your eyes will look gorgeous and bright. Applying kajal just below your lower lash line or filling your upper and lower lash line with black strokes will make your eyes look smaller as it will take up more space. If you have small eyes and want to make them appear bigger you need to use minimal space but still give it that enhancing the effect. For this, you can tight line your upper and lower lash line. Tight lining involves applying the kajal in between the lashes on the waterline itself and not above it. 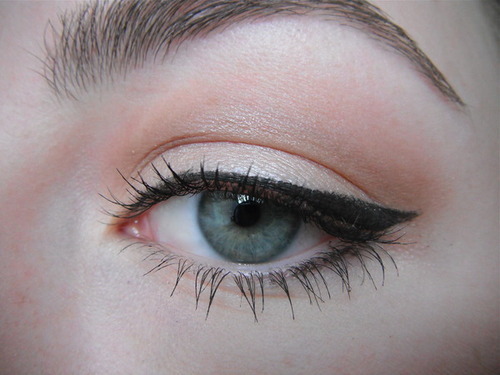 This is an excellent trick to deck up your eyes with kajal without letting it over power your eye shape. It involves a thin stroke on the upper eyes lid which is narrow at the inner corners and widens as it moves further out. Next you extend the line a little beyond the outer corner. Now imagine your lower lash line is divided into three-quarters. Starting from the third and outer most quarter apply the kajal towards the outer corner and join it to the extended stroke from the upper lash line. This will create a V shape that will augment smaller eyes and give them a wider appearance.